Rannalla lähes autiolla: Budget weekend in Helsinki - what would I do? 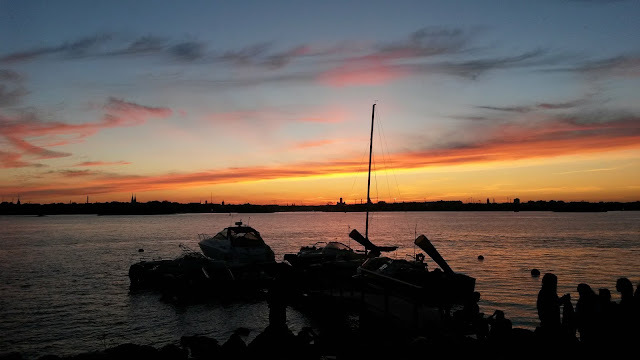 I've been planning a post about my favorite places in Helsinki and finally got my head together to create a list of cool places in my home town - just in time for summer months. I myself am pretty much of a budget traveler and actually enjoy living on a budget also whilst home. 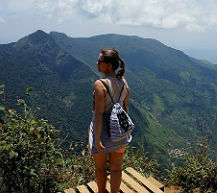 There are many beautiful places in my home town I can go without actually spending much money and I thought I'd now reveal some of these low cost mini excursions in my blog. These are my own suggestions and do not include those obvious places recommended by everyone as Suomenlinna, Temppeliaukio Church or Kauppatori market square for instance. 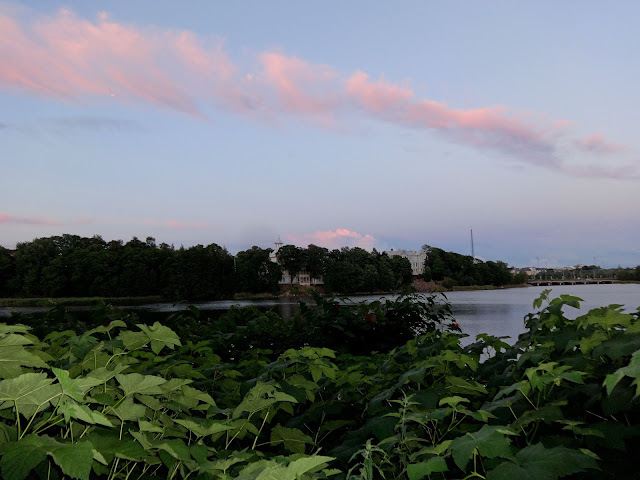 I tried to think out of the box and put myself into visitor's shoes as I've been wondering how to spend a weekend in Helsinki on a low budget. Many of these places are essential for me and have made me fall in love with my city once or even twice again. So here we go - my like-a-local-tips for Helsinki are listed below. I visited Konepajan Bruno (Aleksis Kiven katu 17) for the first time some weeks ago. I'm so happy we finally got this kind of a multi functional space in Helsinki! Konepajan Bruno is a flea market, nightclub, exhibition hall, food market, yoga space and probably many more things I even don't know yet in one, cool industrial styled space built-up in an old mechanical workshop building from the late 19th century. 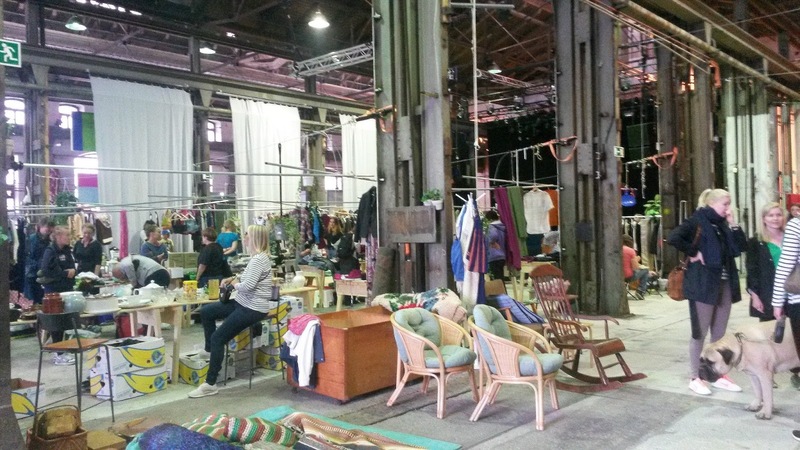 Flea market is on Saturdays and Sundays. 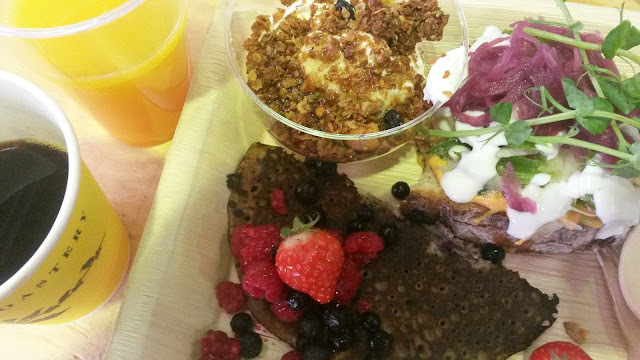 I went there one Sunday few weeks ago and had a tolerable priced brunch (15€) served from a food trucks. I love the way they managed to create a cozy, urban living room in the city. Dogs and children are more than welcome as well. We so lacked this kind of a place in Helsinki! Lonna's facebook page is probably the best place to find out about different events and parties taking place on the island. For example, I just noticed they celebrate Sundays with live jazz until the beginning of September! 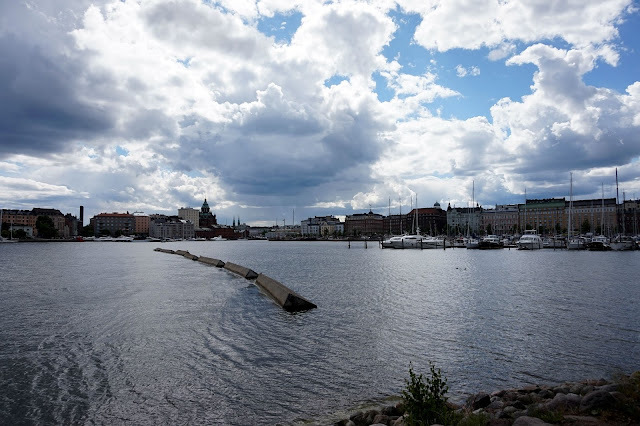 A bridge connects the small Tervasaari island to mainland and offers a nice view for Kruunuhaka and Katajanokka districts. I like this place just for a simple picnic and gathering with friends. Nothing fancy, just watch locals giving their dogs a bath at dog's beach and view the ice breakers having their summer-long power nap at Katajanokka coast. Tervasaari is only five minutes walk from Kauppatori market square - buy some strawberries or cherries to take with you, sit down on the dock and smile. I wish we had more of these wooden neighborhoods left in Helsinki! Warm and village-like atmosphere can be found surprisingly almost in the middle of concrete blocks of the city. My definite favorite wooden district is Kumpula, where wooden houses are nestling between birches and pines. 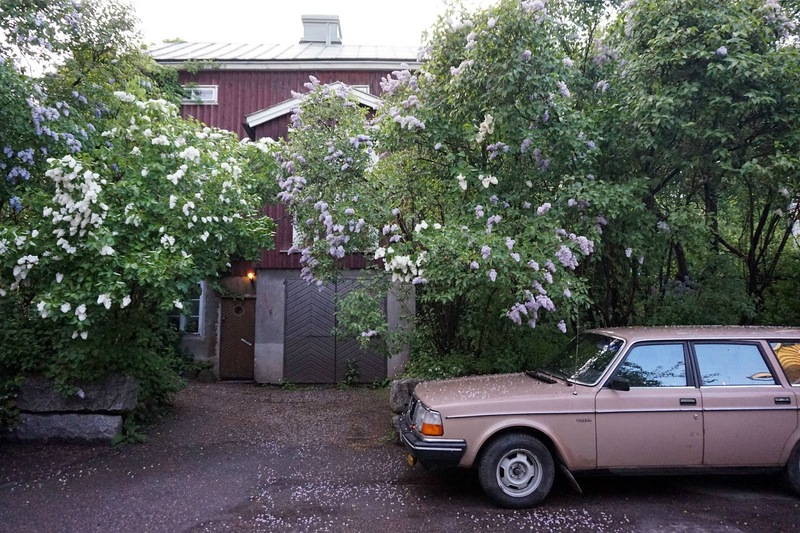 This neighborhood might be the only one in Helsinki which still has an old-school village grocery running too. Pastel colored houses and secret gardens around them makes this district unique to me and I love to make lazy morning walks here whenever I can. Best time to go might be in early June when lilac blossom takes your breath away, but luckily the proud and hardworking house owners usually take such a good care of their gardens that something is always blooming till fall. To get to Kumpula you can take trams 6 or 8. 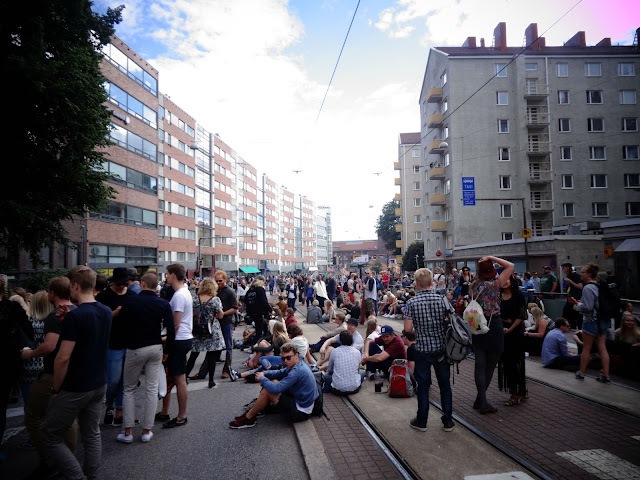 You'll gonna have to walk around five minutes from Kyläsaarenkatu tram stop to reach the hidden district of Kumpula. Other wooden districts are in Vallila and Käpylä. 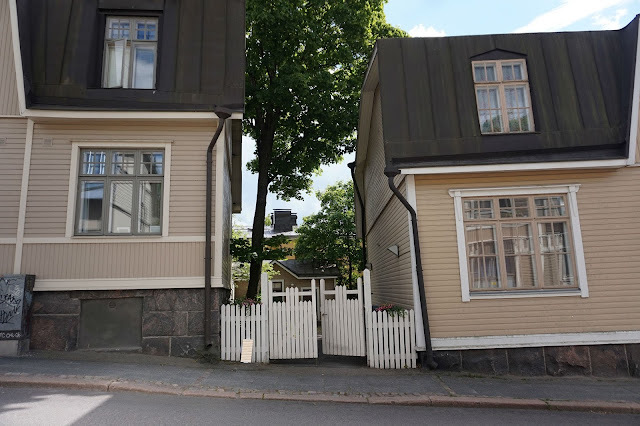 While Vallila seems more urban to me, Käpylä is almost a jump to another world with it's big wooden houses and tall trees hatching the streets. The city is beautiful, but maybe you'd like to spend half a day out of the urban areas? Lammassaari is my number one recommendation for an easy escape to the wild. Literally meaning Island of lambs this is actually a nature reserve which includes two islands; Lammassaari and Kuusiluoto. 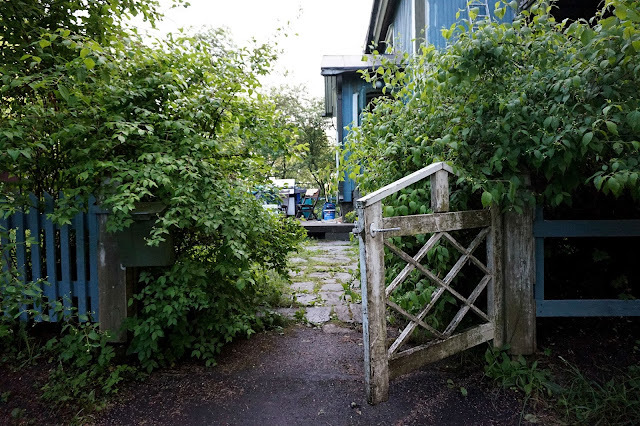 Follow the lovely duckboards first to Lammassaari and you'll pop up with tiny cottages where some lucky souls spend their summer weekends. Take the path on the right you'll end up in Kuusiluoto to spot some lambs pasturing during the summer months. You can read more about Lammassaari in my earlier post. Keskuspuisto is said to be the lungs of Helsinki. 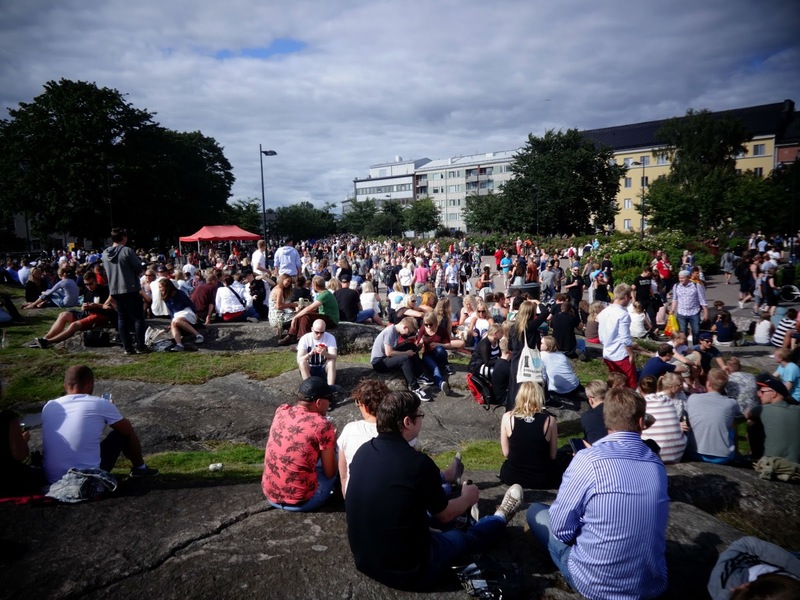 Keskuspuisto literally means central park, but don't imagine something like the Manhattan's one! Our central park is a-thousand-hectare-wide forest with various kilometers of sand roads running through it. Maybe it doesn't sound much of a fun or anything special, but living five minutes train ride away from the central station I love to have a real forest near me. And after all, forest is something that's pretty essential to Finland, it's people and culture too. You can easily experience our wooden lands paying a short visit to Keskuspuisto. It starts near Olympic stadium, some 10 minutes tram ride from the center. Vallila allotment garden (Vallilan siirtolapuutarha) is my hidden oasis in the city. 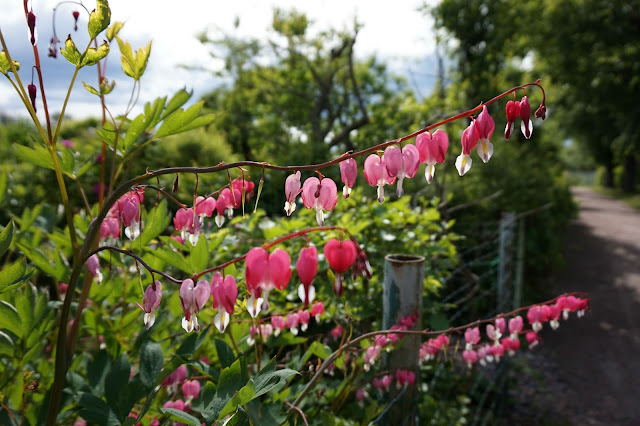 This allotment garden was found in the 1930's and has such a special atmosphere in it. Small, simple cottages painted with all possible colors each with an unique-styled garden around them. Lots and cottages are private property, but visitors are welcome to wonder around the public paths that circle inside the area. Gates are open until 15th of August, no entrance fee. The garden has one tiny cottage restaurant serving lunch for visitors. See more photos here. 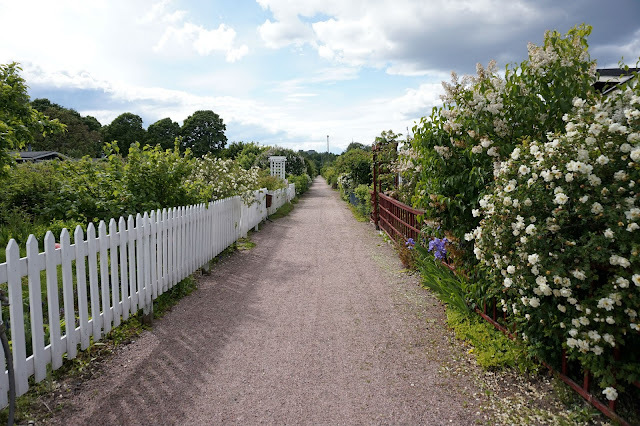 If you decide to pay a visit here, you'll be just next to Helsinki University Botanical Garden Kumpula. Also Kumpula wooden district is only few minutes away. 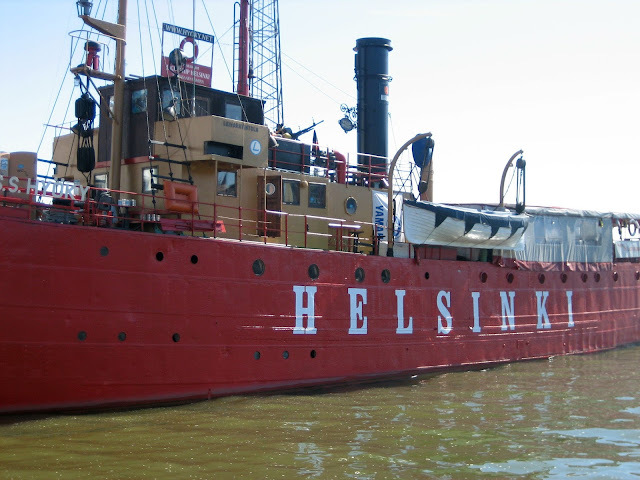 Helsinki seems to have so much going on during the summer months - our celebration season. Many festivals and events are held all over the city and many of them are free of charge. My favorite fest is Kallio block party, which is a Kallio district's voluntary organized celebration that has expanded amazingly quick in just few years. Live music, great spirit (the non-liquid one!) and happy, relaxed people make this my favorite party. On 2016 the party will be on the 6th of August. VisitHelsinki lists all events of Helsinki also in English. Other great webpage for Helsinki happenings is minnenyt.fi but this one is unfortunately only in Finnish. Oh, I almost left one of my dearest childhood memories out from the list! 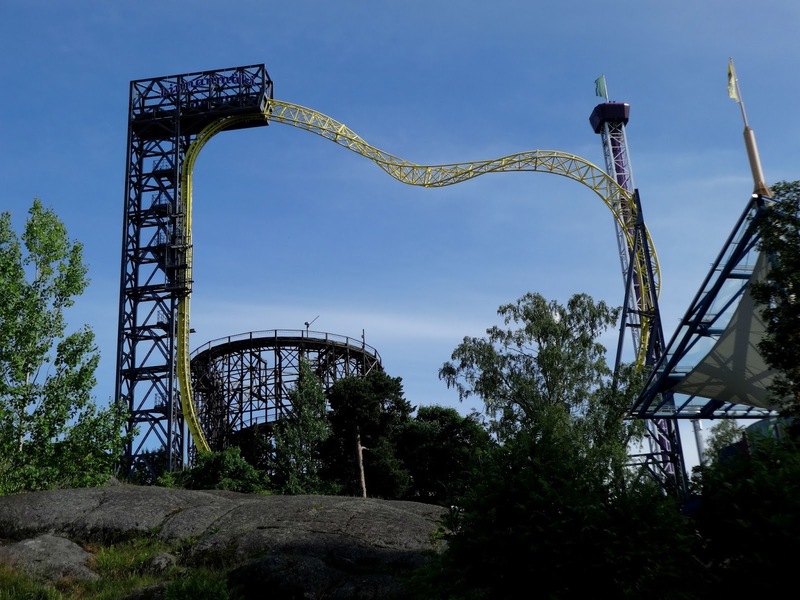 Linnamäki amusement park lies on a hill between Central Station and Pasila Station and I bet there's not many locals that haven't visited it many, many times. The reason I wanted to point this place out in my listing of budget staff to do is that the entrance to the park is totally free of charge. Do many amusement parks let people in for free? Plus there are also ten totally free rides inside. At least take Panoraama, a lift that gives one of the most spectacular views over Helsinki - and no need to be afraid of nausea. Uimastadion (Hammarskjöldintie 5, near Olympic stadium) is an open roof pool built originally for Helsinki Olympics. This is a great place to enjoy even a chilly summer day as the water is heated uo to 27 Celsius. You can do sauna with no extra costs as well. Expect nothing fancy, but well organized sport installment that gathers locals to both relax and exersice under the sky. Entrance fee is 4 €. Okay, now I have shared my Helsinki secrets with you. This post took my quite a long time, but if just one gorgeous soul got inspired by it, I'm happy! On my travels abroad I've heard many times comments of how people would love to visit Helsinki or Finland, but it is so expensive... 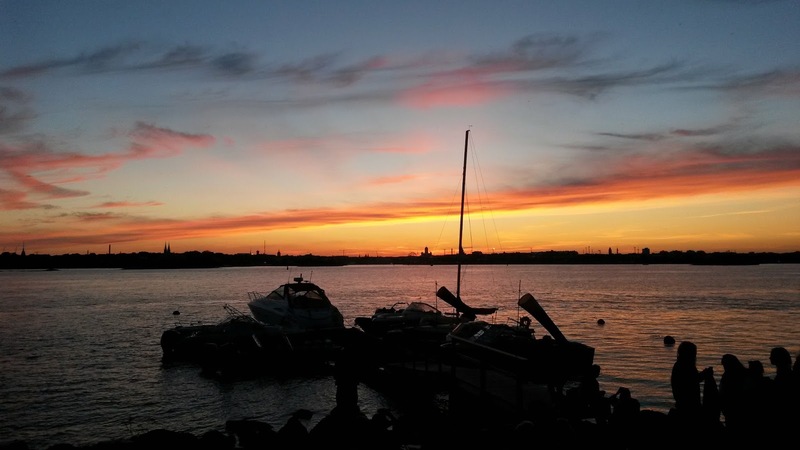 But as any other city, Helsinki can be expensive or a little less expensive depending on how you plan your days. Give it a try, Helsinki is great!